Good morning, paper crafters! We're so excited you dropped by the blog today. 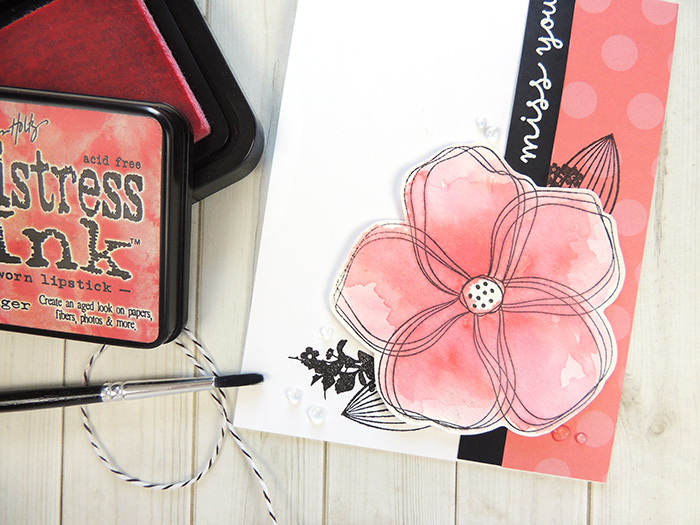 We're sharing a quick tip to help you get started with watercoloring images. TIP OF THE DAY: Wet on wet blends color. Wet on dry adds layers of color. For this flower, we used only one color allowing the first layer to dry before adding more. This creates the harsh edges of the top layer and darker color. Distress Ink mixed with water was used in place of traditional watercolors. 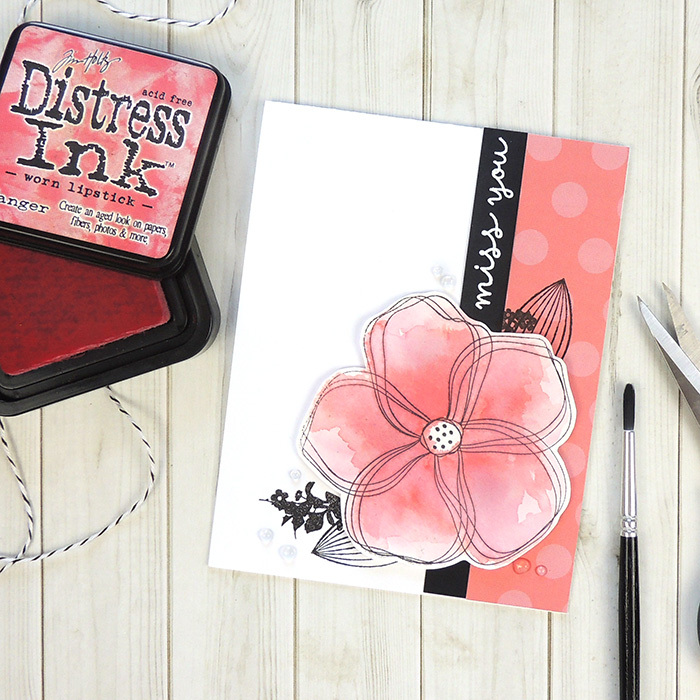 To do this, add color to an acrylic block or craft sheet with the ink pad. Pick up the color with a wet paint brush. Please note, water brushes give a constant stream of water giving you less control. Wet on wet and wet on dry are both great techniques, neither is better than the other. You'll simply end up with different end results. Have you given watercolor a try? CARD SUPPLIES Cardstock: Paper Cut (White, Black). Watercolor Paper: Northwoods (Blending). Stamps: BoBunny, Hero Arts. Inks: VersaFine (Onyx Black), Distress Ink (Worn Lipstick), VersaMark Watermark. Embossing Powder: WOW (Bright White). Extras: Nuvo Crystal Drops (Morning Dew), Non-Stick Craft Sheet, Paint Brush.